Rick Clunn with one of his trophy bass from his 2016 BASS Elite Series Tournament win. 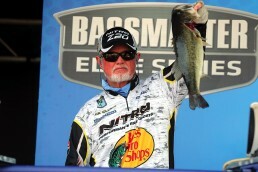 Clunn stunned the bass fishing world when he won a BASS Elite Series tournament in 2016 on Florida’s St. John’s River at age 69. Photos: B.A.S.S. 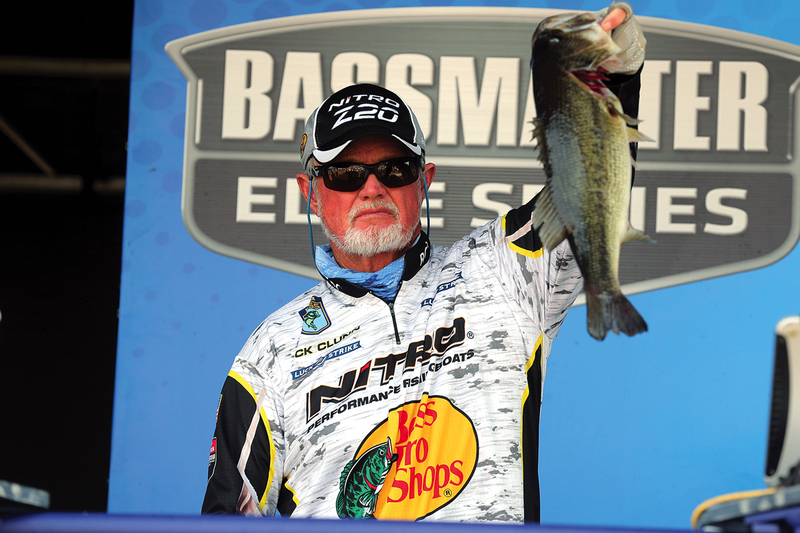 Rick Clunn has been hooking huge bass his entire life. 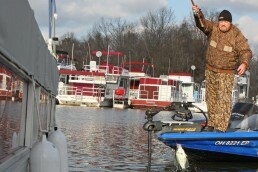 Here, he displays two fine catches of the day. Clunn’s pro career started in 1972 and continues at a high level today. He has joked that, with all the Baby Boomers, he might have the sport’s largest fan base—and he might be right. Photos: B.A.S.S. 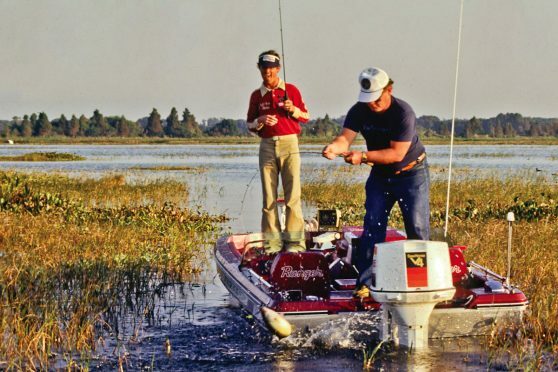 To any bass angler who fished at any level in the 1980s, Rick Clunn was and still is The Man. In his third year as a full-time tournament competitor, in 1976, Clunn won the Bassmaster Classic, and then repeated the feat in 1977. 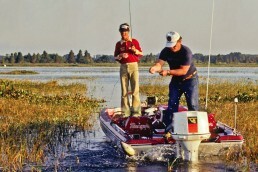 He won the vaunted Classic again in 1984 and 1990, and achieved Bass Angler of the Year in 1986. He qualified for the Classic 32 times. His tournament winnings add up to more than $3 million. Rick Clunn won his second consecutive Bassmaster Classic in 1977 on Florida’s Lake Toho, which solidified his career. 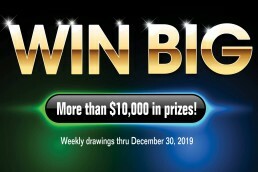 His total winnings are more than $3 million. Photo: B.A.S.S. Clunn continued to compete even as he got into his 50s and 60s. His profile got a little lower as most of his tournament wins came earlier. 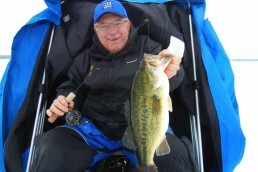 The exception came when, still competing on the highest level of pro bass angling in the BASS Elite Series at age 69, he won on Florida’s St. John’s River. 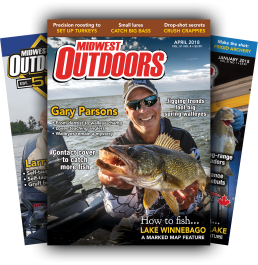 MidWest Outdoors: How and when did you start fishing? 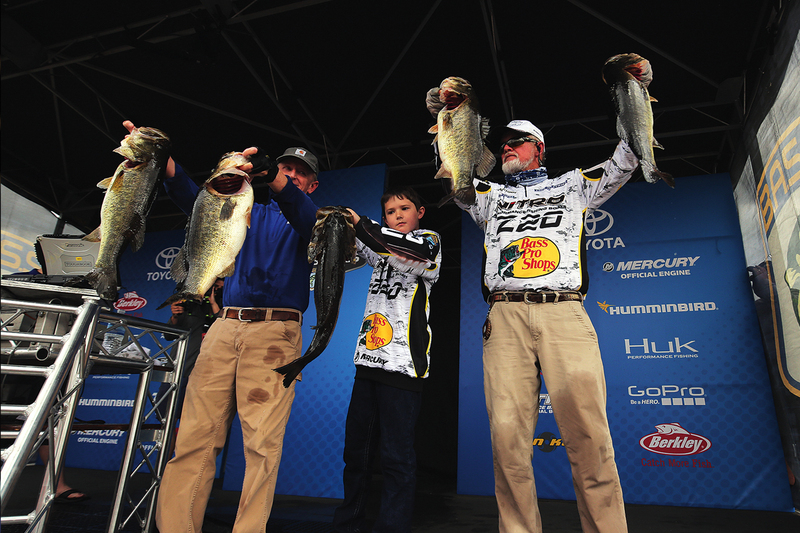 Rick Clunn: My dad was a real avid angler, long before competition. He just liked to fish and he drug me around with him pretty much everywhere he went. 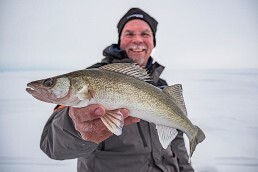 We didn’t fish for any one species, we pretty much fished for everything. We’d used all kinds of live bait and dead bait. 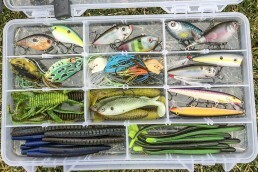 But there was something I found fascinating—the first time I caught a bass on an artificial lure. We were back in California, visiting my grandmother, and my dad always took me with him. We would camp down at this little lake in California, Pine Lake Reservoir. My family and all the relatives showed up, so Dad loaded the boat up. As far as me, he told me he was going to go out and take all of them out and leave me on shore. Well, it broke my heart. So, I’m standing there on the bank, probably tears in my eyes. 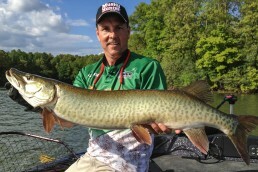 He reaches down and hands me his favorite rod and reel with his favorite lure on it, which was a red and white Lucky 13. Up until that point, he had never allowed me to touch it. He said, “just fish here down the bank around the campground,” which I did. Like most kids, I used a topwater bait. I threw it out there several times, and, like most kids, I got distracted. I’m looking down, and all-of-a-sudden, I hear this explosion. I look up, and it’s like in slow motion. This bass has this Lucky 13 in his nose. He scared me and I didn’t even reel, I just took off running up the bank and drug the poor thing out of the water. About two foot up the bank, he comes off and starts flopping back towards the water. Well, I look like an NFL linebacker flying through the air for a fumbled football. I landed on it just about the time it got to the water. That was the first time I ever fished an artificial lure and it just fascinated me. It seemed like, “this is kind of neat.” You think you fooled the fish. Fishing a crawfish or a shiner, well, fish naturally eat those. 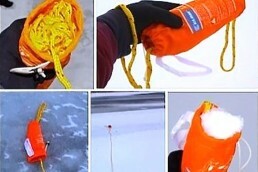 But that artificial lure presented a challenge that I really liked and pretty much pursued the rest of my life. MWO: About how old were you? MWO: How did you break into competitive bass fishing? Clunn: Well, that was another interesting ‘dad’ story. We were down in La Porte, Texas, which is in Galveston Bay. 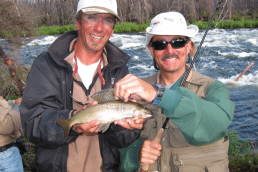 We were pretty much saltwater fishermen and we rarely went freshwater fishing. And we were fishing the north jetties out of Galveston. We got out there, bright and early, and we were all by ourselves anchored alongside the jetties. We both hook up these two big fish, probably big redfish. Sure enough, the next weekend, we went up. 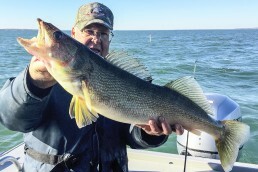 We fished Saturday and Sunday. 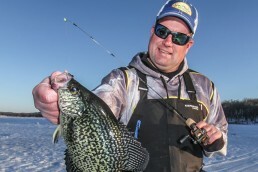 About half way through Sunday, we got off the water and we’d caught just two fish in two days. Typical of fishermen, then and now, we were making up all sorts of excuses why the fish weren’t biting. It wasn’t us or anything we were doing. It was the fish weren’t biting. We almost made a clean getaway. I heard this noise. Here are all these pointy-nose boats with guys steering them from the front. About seven of them pull up on the bank. They all jumped out, they set up a scale, and they were all wearing the same blue, goofy-looking jumpsuits. 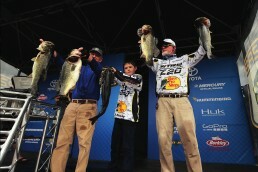 It was the first bass club tournament I’d ever seen. 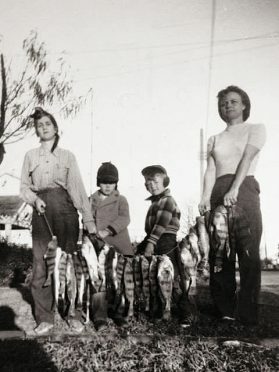 The thing that caught my eye was, back then, it was a 15-fish limit, no livewells. Two of the guys got out of their boat and drug these stringers of 15 fish apiece up to the scales. Now, we’d just gotten off the water and decided the fish weren’t biting. So, now we had to eat crow. Because, obviously these guys had caught them well that day. And it just fascinated me. I went down there and one of the guys introduced himself and said his bass club was (near LaPorte). He said why don’t you come to one of our meetings? Sure enough, I did. That’s when my competitive fishing started, that day. And that’s when my learning started too. Club fishing accelerated my learning. It took me away from all those excuses we were making why the fish weren’t biting. 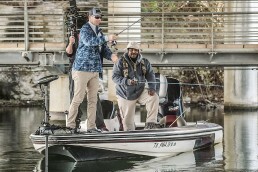 To realize that, any given day, you could complain the bass weren’t biting and some dang bass guy would pull up and show you that they were biting. So that, for me, just sparked my desire really to figure this whole thing out. MWO: You were in computers when you started fishing competitively? Clunn: When I had flunked out of the University of Texas (for throwing a Jitterbug too much at night), I got a job at the Exxon Oil Company. I had to stay out a semester, and they would pay your college while you were working there. I went to work for them in their computing center, which, at that time, was the second largest in the world. Only NASA was bigger. 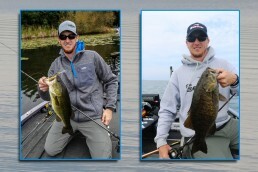 MWO: And how did those first years of your pro bass career go? Clunn: It was a disaster, the first three years. My wife at that time had a good job, too. We’d just financed a new house on the north side of Houston. Within two years, we’d lost that. It was really kind of the typical television scenario. 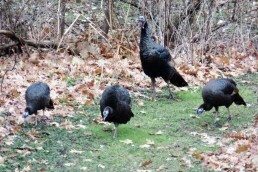 Came home one day and they were sitting on the porch with our young daughter who had been locked out of the house. I was trying to guide in between the tournaments. we had a brand new lake, Lake Conroe, just north of Houston. I wasn’t getting much guide work, though. Most of the time, when I went to the tournaments, I would have enough money to get to the tournaments. But, if I didn’t cash a check at the tournament, I didn’t have enough to get home. It was a test. It was a test to see how dedicated and committed I was. MWO: Did you ever think about quitting and going back to Exxon or to another non-fishing job? Clunn: The thing that scared me was when I knew I would never go back. When I quit my job at Exxon, I told myself I was going to give it three years and return to the computing world. I kind of told everybody in my family that. But, 2 1/2 years into it, I had gone completely broke. 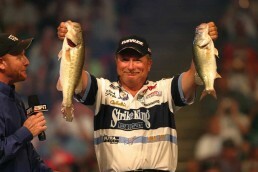 I was fixing to fish my third Bassmaster Classic. But, the the thing was, I knew I was never going to go back (to computers). I’d hit rock bottom. I knew, then, that I would never go back. I was committed, for life, to doing this. Now, when kids ask me, ‘Do you think I’ll make it?’ I always say, come and talk to me when you’ve hit rock bottom. Then I can tell whether or not you’re going to make it. 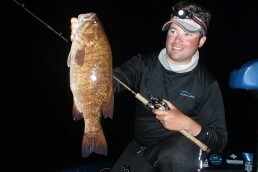 Hunt some bass of your own and check out our tips to make it worthwhile! MWO: So what happened then, after you’d hit rock bottom? Clunn: Fortunately, I didn’t stay on rock bottom terribly long. 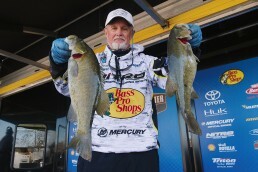 I qualified the first two years that I fished for the Bassmaster Classic, and I didn’t do well. The third year, I qualified again. Back then, they put us in an airplane, took us to 30,000 feet and told us where we were going. You couldn’t get any help in the event at that point in time. So, we went to Guntersville (in Alabama), and I ended up winning it. And, I won the Classic again the following year at Lake Toho. 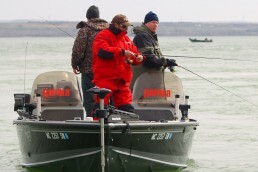 The Bassmaster Classic was the biggest event in the sport of bass fishing. Still is, especially when it applies to getting sponsors and getting well-known. All of a sudden, the phone started ringing for sponsors. 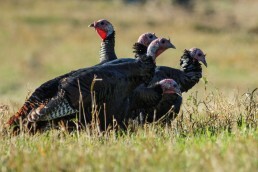 The phone started ringing for guiding. Everything that wasn’t happening all of a sudden did. I had oil companies calling me up and asking “how many days of guiding you have this year?” I’d say, “130”. They’d say, “Okay, we’ll take them all, pay you in advance and you can keep it, even if the people don’t show up.” I mean, it was that kind of craziness. Then I won it again, which no one had done, and that just added to it. 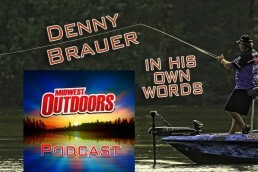 I was probably getting some of the best sponsors of any angler up to that point in time. 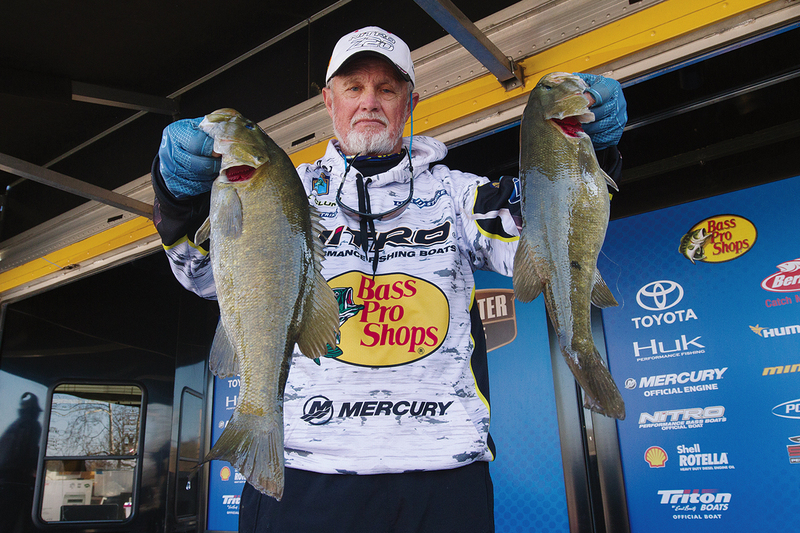 After hitting rock bottom in 1975, Clunn won the Bassmaster Classic in 1976, jumpstarting a fishing career that is still going today. 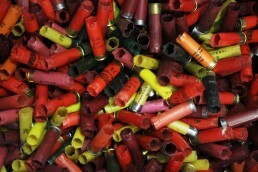 Photo: B.A.S.S. July 24, 1946: Born in Fresno, California. 1964: Graduated high school in La Porte, Texas. 1972: Quit job in computing for the Exxon Oil Company to fish professionally. 1975: Was completely broke, but persevered. 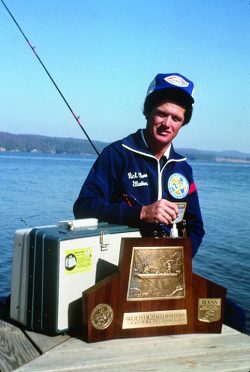 1976: Won Bassmaster Classic at Lake Guntersville in Alabama. 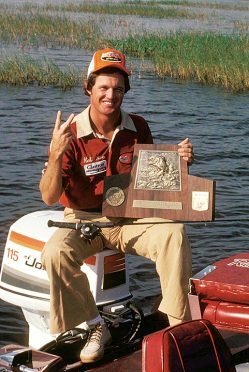 1977: Became first angler to win consecutive Bassmaster Classics, this time on Florida’s Lake Toho. 1984: Won third Bassmaster Classic on Arkansas River, Arkansas. 1990: Won fourth Bassmaster Classic; James River, Virginia. 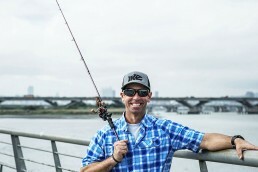 2016: Won Bassmaster Elite Series Tournament on St. John’s River, Palatka, Florida. 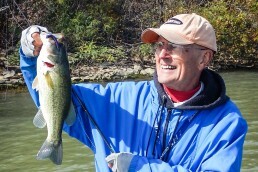 At 69, he is the oldest angler to win an Elite Series tournament. 2017: Inducted in the International Game Fish Hall of Fame. Current: Resides with wife and two sons in Ava, Missouri.